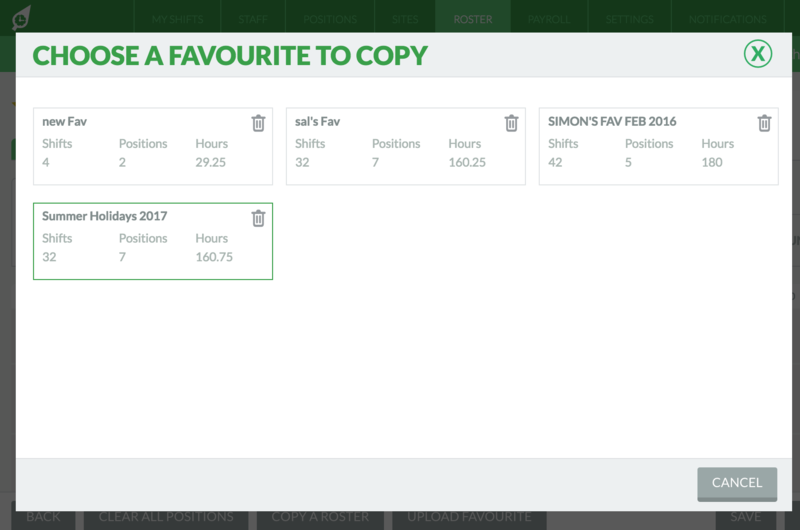 To save a roster as a "Favourite", simply click the "star" icon on the top left of the screen. 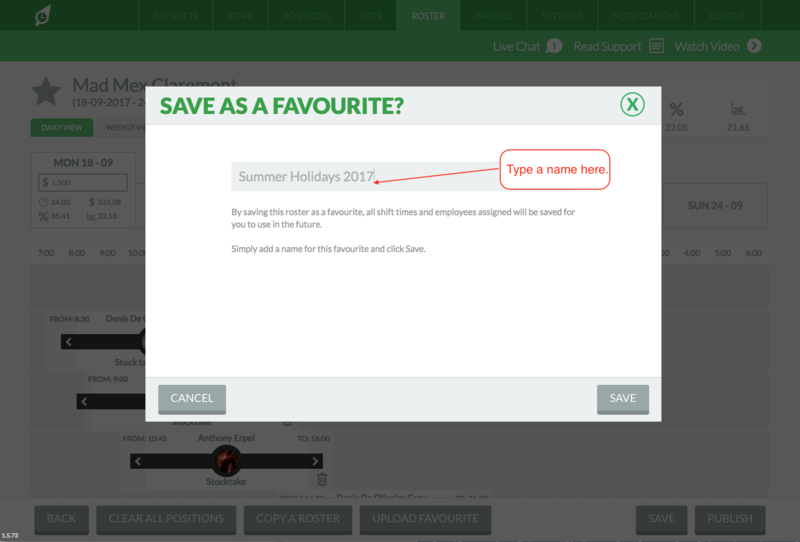 Enter a name for the Favourite roster template and click "save". Once you have saved a favourite, you can re-use it by clicking "Upload Favourite" on bottom of screen. 4. Select a Favourite From List. 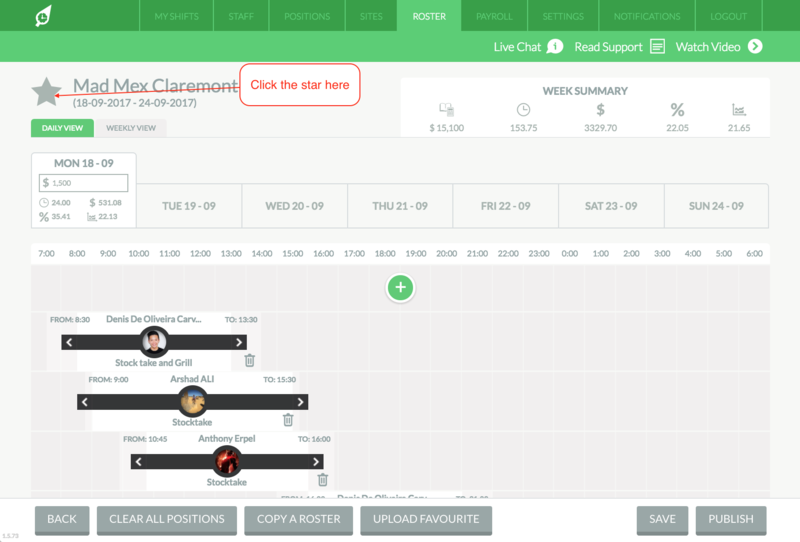 A list of all your favourite rosters will appear. Select one by clicking on it. 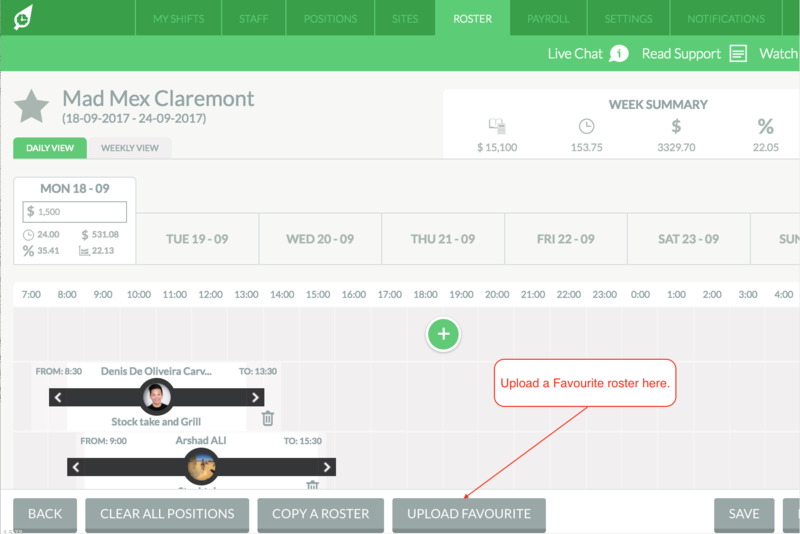 This favourite roster will appear for you to make adjustment on before publishing.